If I Stay - Lis Les Livres- Read Books! 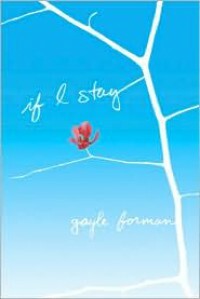 Bring out the tissues!http://lisleslivres.blogspot.com/2012/11/review-if-i-stay-by-gayle-forman.htmlCharacters: Mia was the perfect girl who had it all. I got the feeling that she'd be the type of person who is genuinely sweet and deserves everything she has. 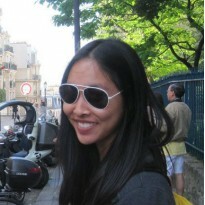 I felt absolutely terrible for her when her mind realizes she has lost her entire family. The entire story is mostly a narrative of Mia's memories of when she was living, her mind that is still functioning while her body is in a coma trying to figure out if she should stay alive for just give up living, and there really aren't any other main characters I will mention Adam because he plays a huge role in the sequel. So, all you really learn about Adam is that he is a really sweet guy, obviously in love with his girlfriend. The book describes their first meeting, him trying to impress her, and how their relationship has progressed since then. You might not love Adam just yet after reading this, but once you read Where She Went, you will fall, fall hard for Adam Wilde. Plot:Very predictable...You might find yourself thinking of those tv shows and movies in which the characters won't wake up, but some part of hem is aware of everything that is going on. Personally, I was reminded of the Full House episode when Michelle fell off the horse and couldn't remember anything until her "memory" came back.Writing: Gayle Forman did a beautiful job of telling this story. It is very emotional, and as I already warned, you might find yourself wanting to cry.Would I recommend this to a friend? Yes, and then the sequel!